On Day 13, our grand prize is a Razer 'Raise The Level Cap' bundle that includes a BlackWidow Elite keyboard, a Mamba Wireless mouse, and a Kraken Tournament Edition headset. Helping spread the epicness, we also have a Raiju Ultimate wireless PS4 controller and Thresher 7.1 PS4 headset for one lucky runner-up! The competition winner will be picked at random from all eligible entries that arrive by 09:00 London time on the closing date, December 29, 2018. First prize is a BlackWidow Elite keyboard, a Mamba Wireless mouse, and a Kraken Tournament Edition headset. Second prize is a Raiju Ultimate wireless PS4 controller and a Thresher 7.1 PS4 headset. I'm not sure Razer is really synonymous with those options. If I say ‘The Blue Team’, ‘The Red Team’ or ‘The Green Team’ in a PC context, Razer isn't the first brand that comes to mind for any of them. 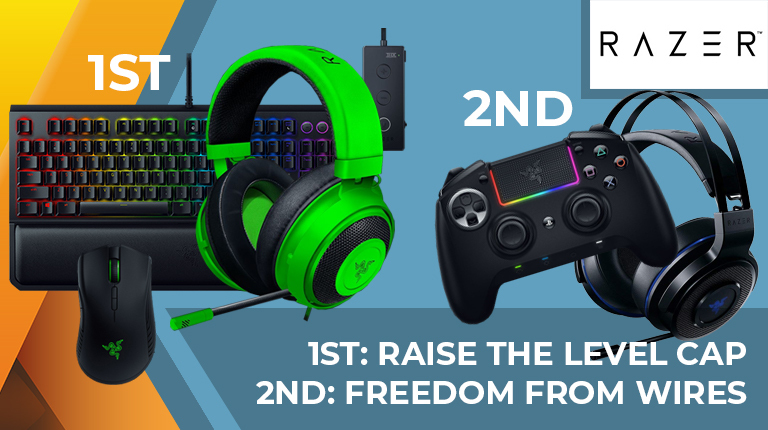 Nice prizes though, I need a new headset.